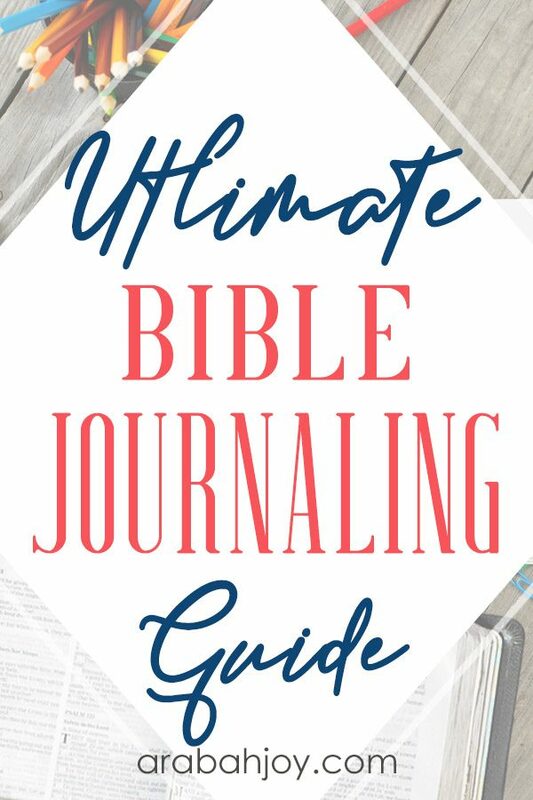 If you are new to Bible journaling or ready to step up your “game”, you may come across terms that are unfamiliar to you. 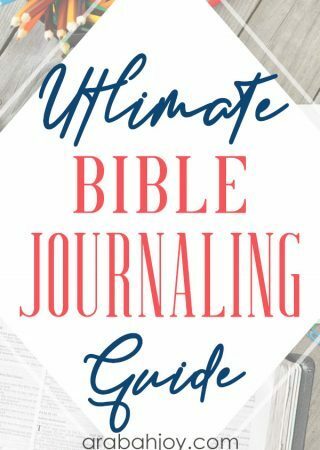 This Bible journaling guide and glossary is a handy guide to help you learn more about Bible journaling, key Bible journaling terms, and tools to help you create pages that inspire you as you dig deeper into His Word. 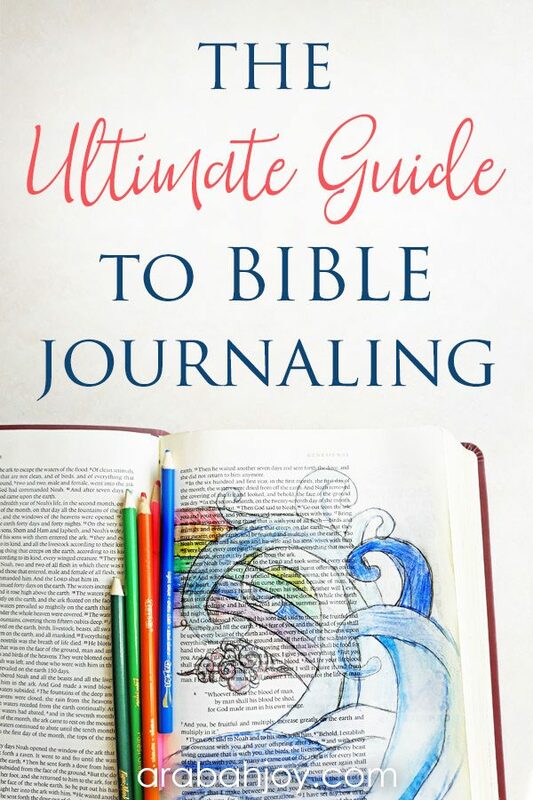 Note: This Bible journaling glossary includes only terms for traditional Bible journaling and does not include terms for digital (computer-based) Bible journaling. 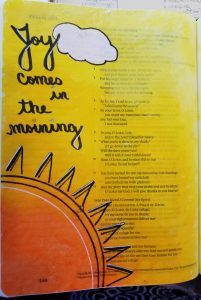 Bible journaling – Bible journaling is taking artist methods and your own creativity to visually study and reflect on God’s Word. 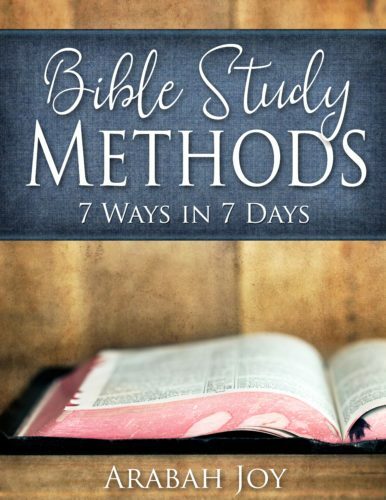 (Most use art supplies to create in the margins of a journaling Bible or blank journal). The methods used are as unique as the person creating the page. Some choose to use paint or markers (wet mediums), while others like to use die cuts, colored pencils and stickers (dry mediums). 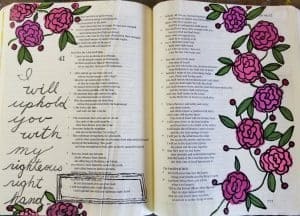 Bible journaling can be deeply personal and enhance your Bible study. 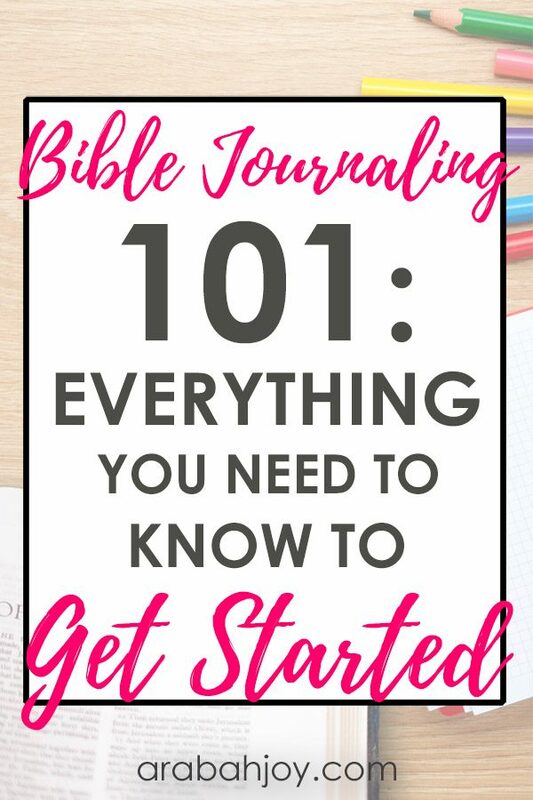 Ready to dive in to the Bible journaling glossary? A chemical compound that causes paper to discolor and become brittle or weak. It can also cause ink to fade or discolor. Art supplies that are “acid free” will not damage your Bible pages and other media added to your Bible journaling. The opposite of acid. Alkaline is often added to products that contain acid to neutralize it making it safer for your project. Changing the composition of something, typically in a small but significant way. Ultimately, this is what Bible journaling is: altering your Bible bring your creativity as you study the Bible or verses. A product that is safe, over time, when it is exposed to other items (Ink, for example, may fade, over time, if it is not labeled as “archival”). 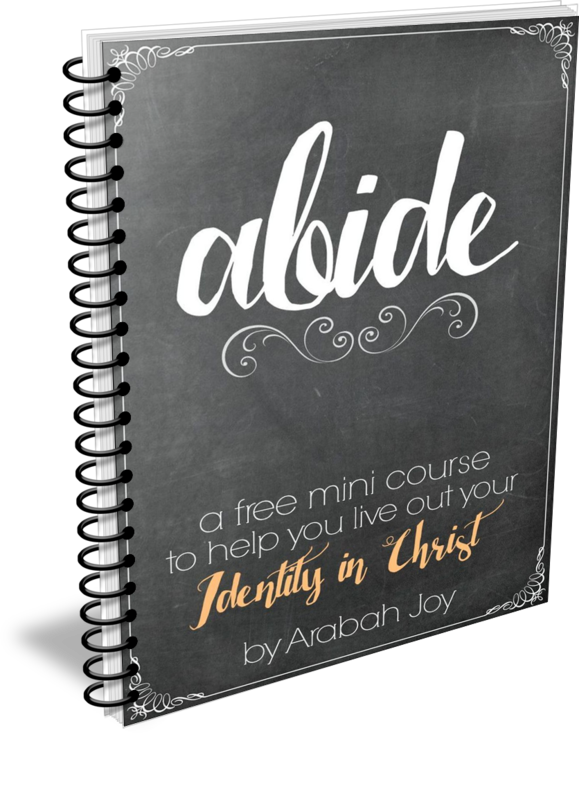 A Bible designed specifically for use in Bible journaling. 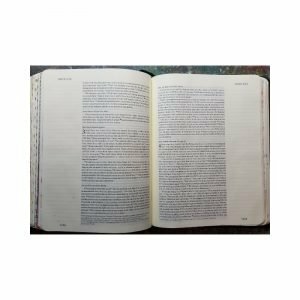 Bible journaling Bibles often have very wide margins providing room for your creative endeavors. 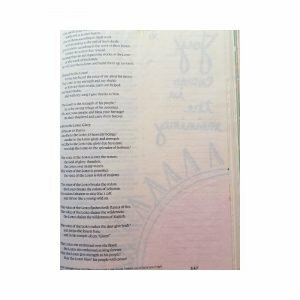 Some journaling Bibles have pre-printed images or verses in fancy or large text for coloring. Paper that is thicker and more durable than normal writing or printing paper, but thinner and more flexible than other forms of paper, such as cardboard. A form of art where various materials (paper or photos, usually) is applied in layers to create a composition. Colors that will not fade or run. The color is usually “dyed in” in the manufacturing process. A pencil that, instead of lead, is filled with colored pigment and binders. The higher the quality of the colored pencil, the deeper pigment and the more colorfast that it is. Complementary colors are two colors that are on opposite sides of the color wheel. (For example: red and green). Using complementary colors makes the colors “pop”. Removing or cutting the unwanted areas of a photo or image to focus on a smaller element of the image. Patterns and shapes created by a form of cutter or die cut machine that can be added to your Bible journaling pages. 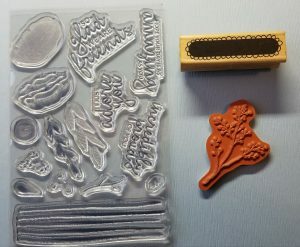 (Create them at home by using a personal die cut machine, such as the Silhouette or Cricut) or purchase them at retailers such as Illustrated faith). Drawing or painting tools that have a very low moisture content such as pencils, colored pencils, charcoal and chalk. A decorative element or detail added to a page to make it more visually appealing. Creating of an impression (raised or relief) of a design, pattern or lettering. Very popular for use in Bible journaling, gelatos are creamy sticks of acid-free, odorless water-soluble pigment color. They blend well wet or dry. Adding color, markings or text to emphasize a verse. Here’s a guide on how to color code your Bible. A written record of a person’s observations, experiences and thoughts. Lignin is a substance contained in wood that provides additional stiffening of the fibers. When used in paper production lignin makes the finished sheet turn yellow quickly. Free of lignin, an acid based substance that deteriorates paper, discolors photos, etc. When adding paper or paper-based embellishments to your Bible journaling, look for lignin-free material. To place a layer of paper or other material under another to create a frame or additional decoration. Objects kept or collected because of their historical interest, especially those associated with memorable people or events. 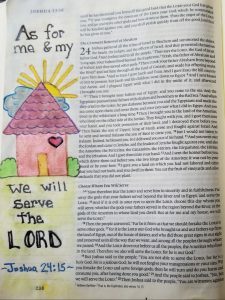 Family memorabilia is often added to Bibles in Bible journaling. A form of art that combines a variety of media in a single artwork. For example, if you draw with ink, then paint over it with watercolors, then add some highlights in colored pencil. Using or containing one color. Monochromatic color schemes come from a single base color that is extended by using its tones, tints and shades. Attaching a painting, photo, embellishment, or memorabilia to a surface. 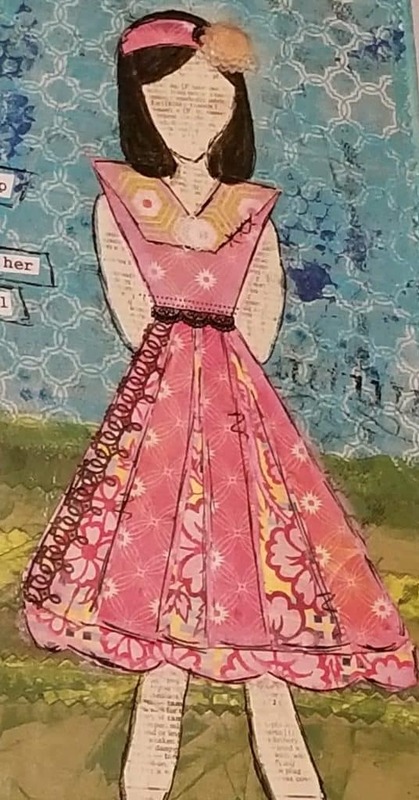 A technique that uses smaller pieces of cut or torn paper (cardstock, patterned paper) to create a bigger image. Tearing, instead of cutting paper to give the edges an imperfect, handmade or shabby chic look. A paper cutter that uses a rotary blade that sits on the rail and cuts through paper from side to side. Paper printed with text, designs or images for use in scrapbooking and Bible journaling. Usually in heavier weights than printer paper, that can hold up to time and handling. A tool that is used to cut (punch) shapes through paper. Punches are available in a number of shapes and sizes. A device for inking and imprinting a message or design on a surface. Available in rubber and photopolymer. Ink to transfer color from stamp to project. Available in a variety of colors and for porous and non-porous surfaces. A thin sheet of cardboard, plastic, or metal with a pattern or letters cut out of it, stencils are used to produce the cut design on the surface below by the application of ink or paint through the holes. An easy to apply, decorative embellishment used to enhance creative projects. Paper or plastic pieces attached to the edge of the page to mark a section, tabs usually used to mark each book of the Bible for easy reference. Commonly used in paper craft projects, a tape runner is a form of adhesive, in tape form. Vellum is a translucent paper and vellum is a slightly rough-surfaced, non-translucent paper. You can use vellum to add translucent layers to your Bible journaling page. Decorative, colored adhesive tape. Can be used to edge the first page of a book in the Bible for reference or for embellishment. Drawing or painting tools with a higher amount of moisture including paint, gelatos, markers, etc. Whew! There are dozens, maybe hundreds more terms we could add to our Bible journaling glossary if we were to include all of the possible tools or media that can be used. 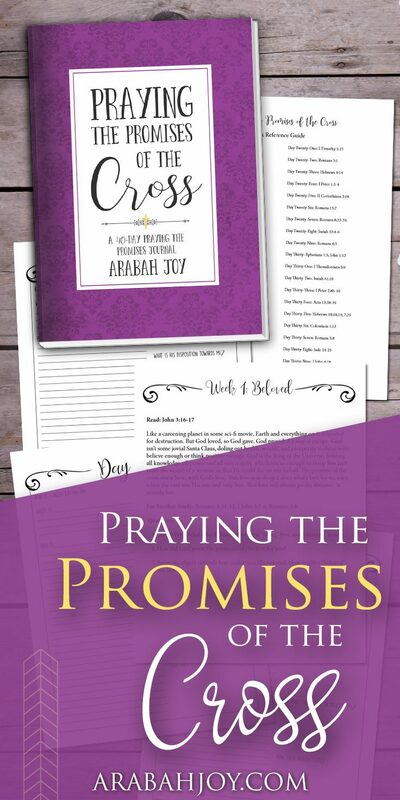 The glossary above will help you to understand commonly used terms in Bible journaling for beginners, and hopefully, give you the foundation to start your own journey with Bible journaling, or even to teach Bible journaling. 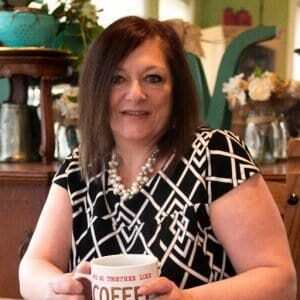 Susan is a writer, speaker and the creator of Women of Noble Character ministries. 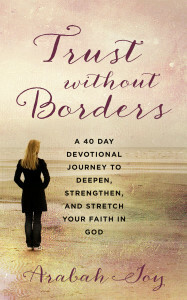 She is passionate about helping Christian women live a Proverbs 31 life in today’s world. She also is a creative at heart and enjoys Bible journaling and other forms of creative worship. She lives in rural North Central Missouri with her handsome and hilarious husband and a myriad of dogs, cats and chickens. Susan runs on Jesus, coffee and not enough sleep. Find her at Woman of Noble Character.